£6.50 (including 50p online booking fee) book here. Also available on the night. A one hour programme of artists’ film, video and performance. Chimeras and histories of non-human representations, the distance between objects and language, 17th Century poems and resilience strengthened through love and loss are themes explored in these works. Clair Le Couteur (*1982, UK) is a non-binary trans research artist and singer, currently completing their practice-based PhD –‘The Fictive Museum’–at the Royal College of Art, London. Recent projects include: Transportation Blues(2016), a live-looped folk song cycle at the Horse Hospital, London;Roots Between the Tides (2016), an a network installation of144 images on long-term loan to Warrington Museum; essays for Gender Forum, Shades of Noir, and the Oxford Artistic Research platform; and Reading Trans (2017-18), a series of workshops on trans theory for postgraduate Fine Art courses including Goldsmiths and Open School East. Carli Jefferson (b. 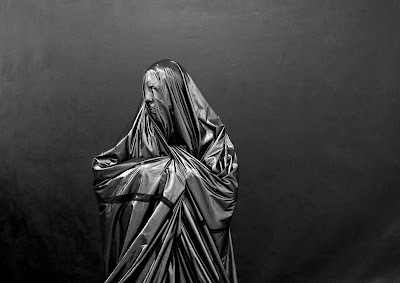 1978, UK) is a trans-disciplinary performance artist. After graduating in Dance and Visual Practice with Liz Aggiss (Brighton, 2000), she began her career touring with STOMP before developing Stepflow, a combination of tap, body percussion and dance techniques. Carli currently performs, teaches and choreographs worldwide in multi-genre projects from folk to street dance, film to textiles, gallery installation to international stage musicals. Recent personal projects include a residency at ]performance space[ Folkestone, and Footfall (2018), a performance for the Draw ToPerform festival, Brighton. I am a non-binary artist, filmmaker and writer based in London, UK. My work explores the politics of encounters, addressing power and devoted to histories of non-human representation. In 2016, I founded the moving image research & screening platform Synthetic Ecology. In 2017, I was an Associate Artist at Open School East. In 2018 I began studying an MA in Contemporary Art Practice: Moving Image at the Royal College of Art. My projects have been shown internationally in film festivals and galleries including Flat Time House - London (2018), ODD - Romania (2018), Guest Projects - London (2017), Alchemy Film Festival - Scotland (2017), Mount Florida Screenings - Scotland (2017) & Cinecity - Brighton (2016). I am also an associate for the studio programme Conditions at 89 Gloucester Road - Croydon (2019).